A wise man said, “No battle plan survives contact with the enemy.” One thing that I have learned over the last year and a half while shooting F-Class matches is that no matter how much you plan and prepare, there will always be problems you must overcome during a match. How you are able to handle these problems is what separates the good shooters from the great ones. When I first started traveling to and attending multiple day matches, I would always pre-load enough ammunition for the entire match using the load that happened to be performing in the gun at the time. While this plan worked extremely well for the most part, there were more than a couple of matches where the load just wasn’t working due to unforeseen environmental conditions or mechanical issues with the rifle. Since a 1000 yard F-Class X-ring is only five inches in diameter, having a rifle that is not shooting its absolute best is not an option. This made for some VERY long matches. A friend of mine, Bret Solomon, saw I was struggling at one of these matches and suggested that I should change the load for the next day. I told him I had pre-loaded all my ammunition and that I was stuck using what I had brought with me. The concept of loading my ammunition while at a match had never really crossed my mind. The thought of hauling all of that extra gear and spending the evening loading for the next day seemed a bit daunting. As we visited, the advantages of being able to make load adjustments while at the match became very evident. Had I took the time to bring the extra gear, I could have made the load adjustment and the rest of the match wouldn’t have been such a struggle. After returning home, I purchased the necessary equipment and I have been loading at matches ever since. The flexibility it provides has proven to be invaluable on more than one occasion. While loading at the match may not be for everyone, I believe that it is an invaluable tool in making sure your rifle is shooting its absolute best. It also gives you the ability to overcome many problems that would normally cause a shooter to pack up and go home. And spending all the time and money to travel to a match and not be competitive is definitely not an option. This entry was posted in Competitive Shooting and tagged competitive shooting, F-Class, gun lessons, mobile reloading, range lessons, shooting lessons. Bookmark the permalink. I don’t compete as of yet, but that seems like it would really take a lot of the fun out of your day. I know when I was racing motocross, it was the same thing. If I had only brought that one special tool I could have changed my suspension setting or that spare part. I could have stayed in the game. Oh how we learn! I’d like to know more about what you would change, and why. How do you know what needs to be changed? The one that stand out the most is temperature variation. Say you work up a load for 70 degrees and then the match is at 100. Your near max load now goes over with the extra heat and very hot barrel which can even make you lose bullets in midair under the right circumstances. You would have to be riding the line for that to happen, but a lot of competitive shooters push things to the limit to get an edge all the time. Another instance is you get to the match and find out you bumped your seating die (that should have been locked down….) somewhere in your loading and now you are jamming bullets into the barrel or dumping powder in your action when you remove a live round. You can return to compete the next day instead of packing up and going home. I have seen people do some loading right on the range as well. Rain outs/delays and unexpected shoot offs can also run you out of ammo and the ability to load more sure comes in handy in those situations as well! 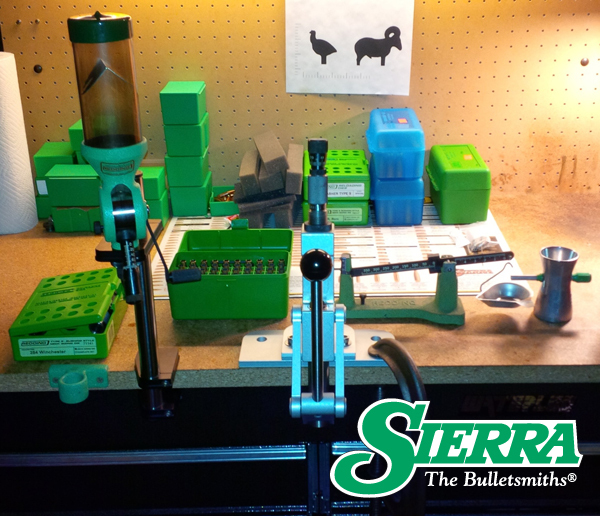 What would your mobile reloading equipment list be and how would you set it up?